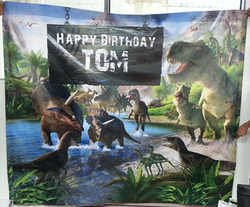 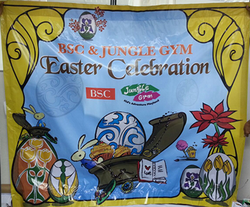 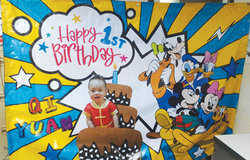 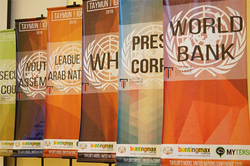 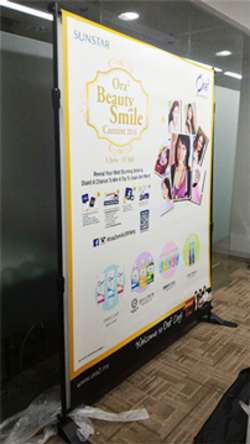 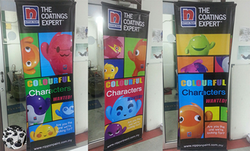 At BuntingMax.com.my, we have printed and installed more than 10,000 tarpaulin vinyl buntings and banners since established. 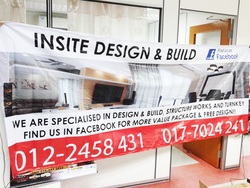 We design, print, install and dismantle for you. 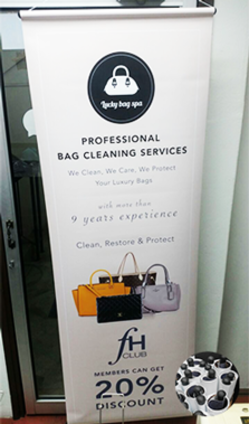 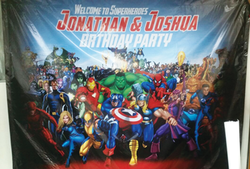 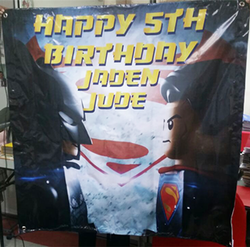 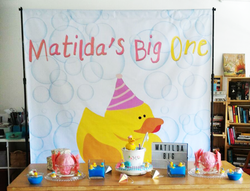 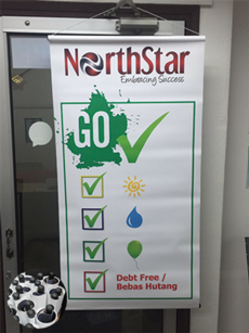 If you have had bunting or banner printed already and only need installation work, contact us and we will provide installation service for you. 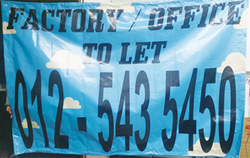 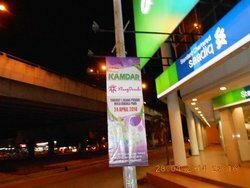 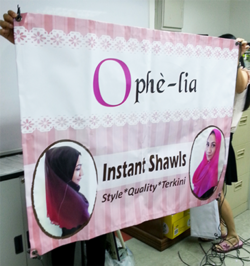 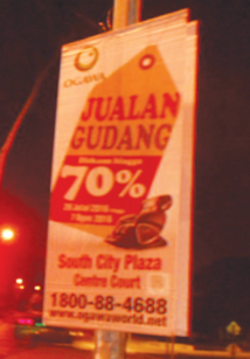 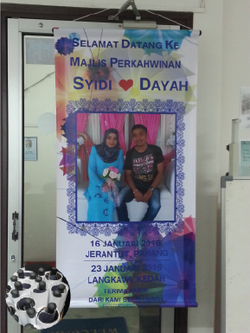 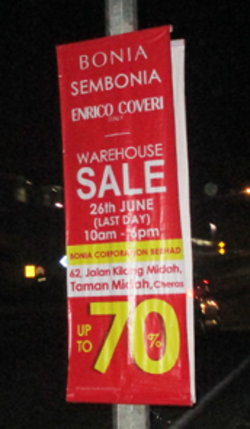 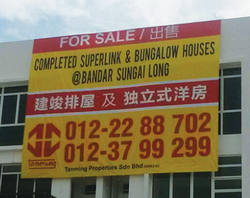 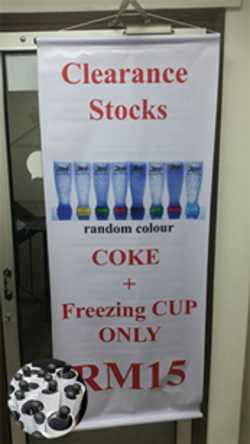 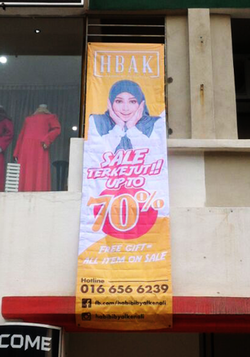 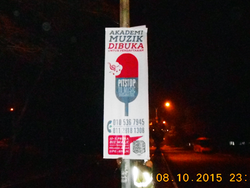 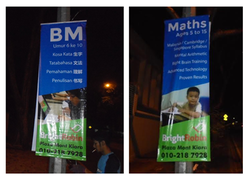 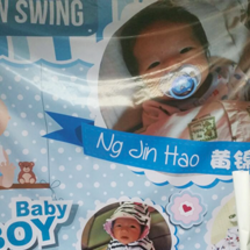 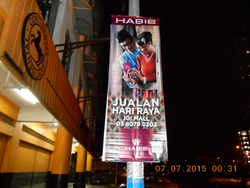 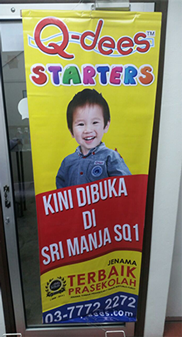 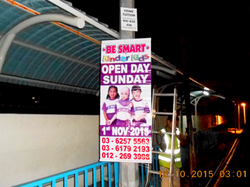 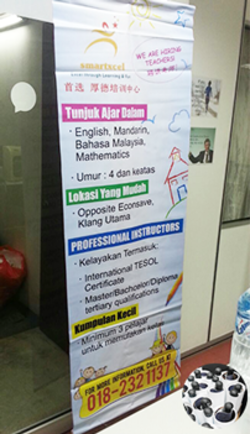 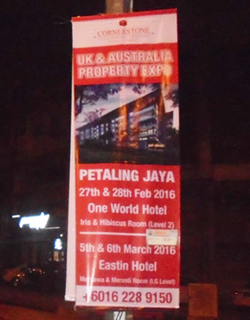 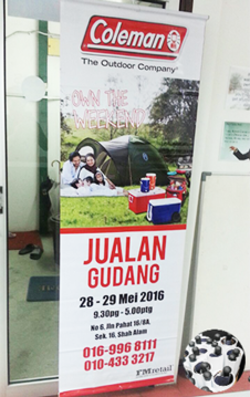 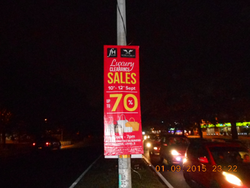 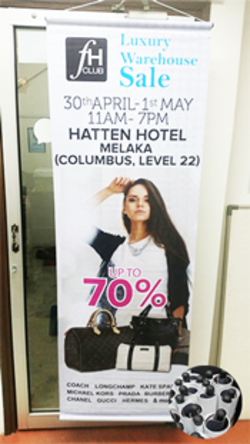 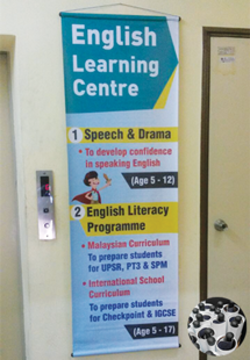 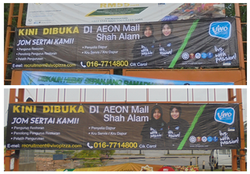 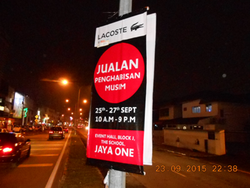 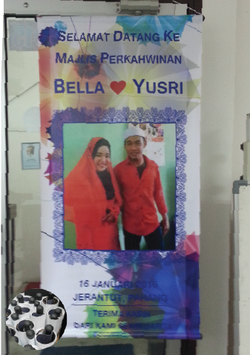 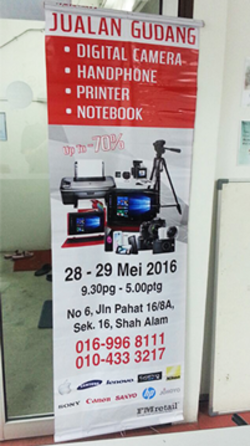 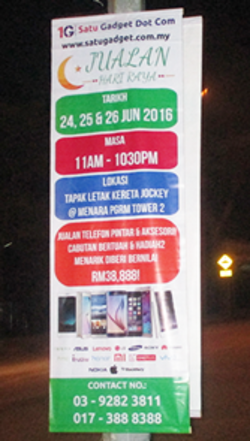 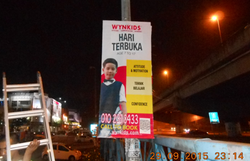 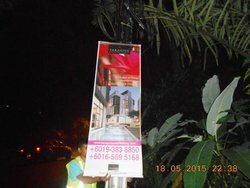 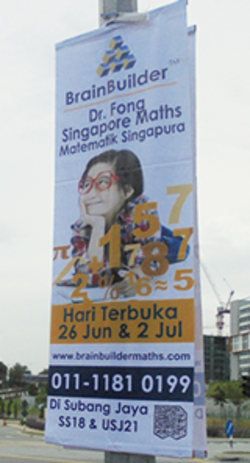 *Do you know bunting and banner installation at outdoor are required to apply local council license permit? 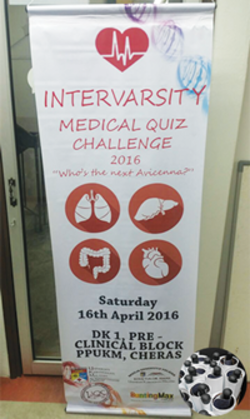 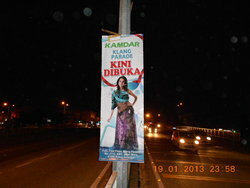 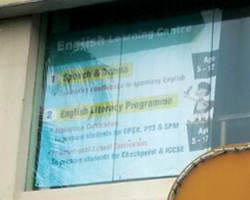 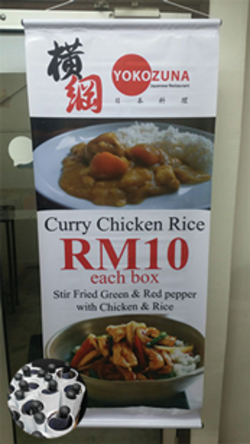 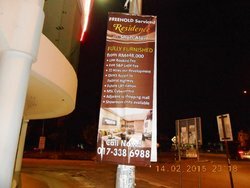 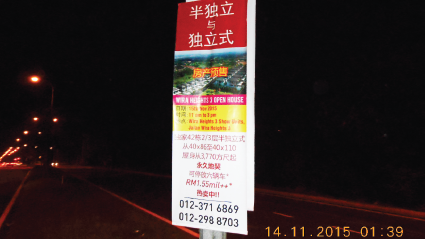 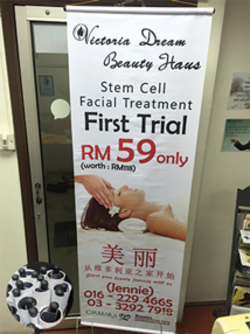 What are the consequences of outdoor bunting and banner installation without local council license permit? 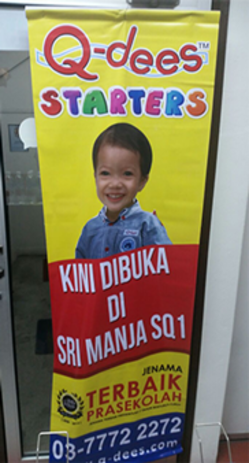 Please click here to find out.